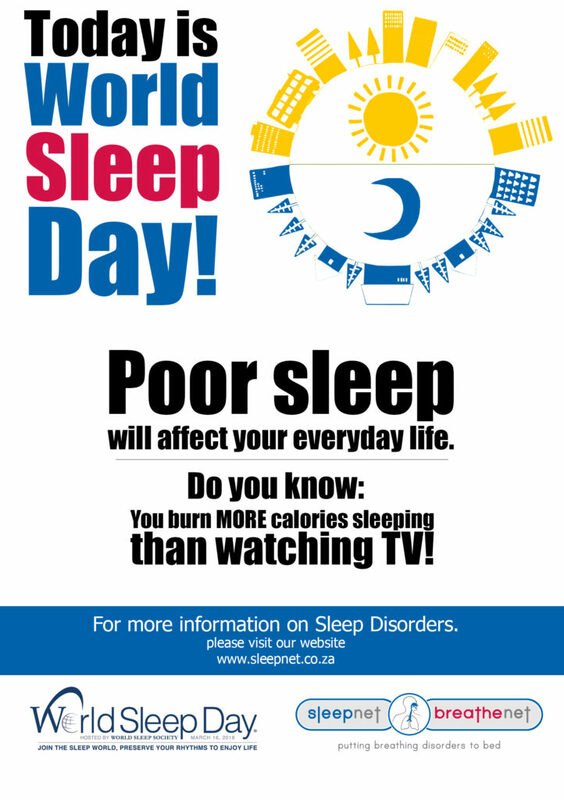 World Sleep Day is an annual event that calls to action important issues related to sleep using collaborative efforts energized by sleep professionals all over the world. The focus of WSD is to bring cognizance to the many burdens of sleep problems. WSD publicly displays efforts being taken toward prevention and management of sleep disorders. This year on 16 March 2018, the SleepNet staff will be standing in their Pajama’s at a designated robot in Panorama to raise awareness of the importance of sleep. There will also be an opportunity for clients to pop a balloon to stand a chance to win a prize.